I was walking the dogs this past Saturday, and feeling triumphant having finally managed to get more words upon a page. So I thought I’d film a little video update (see below). I think I might it a regular thing because a) it’s social pressure to actually write, b) it’s a fun way to update you and c) after writing fiction all day, I’m not always chomping on the bit to write a blog. A video post, however, that’s enough creatively different to make it fun! So, hi! This is the first video on my new YouTube channel. Sign up if you wish (and click the bell button so you’re actually notified of uploads) and join me. And please tell me what you’d like to see – of course there’ll be book updates and news on sales etc, but anything else? Just ask and I’ll try to pop it into a video. I don’t know if there was ever a time I wasn’t creating stories. I also don’t think there was a time when I wasn’t longingly dreaming of farming. Whilst being a writer was only a mere notion (I mean, MOST kids get creative with stories at some point), farming is in my family’s blood. Though I didn’t actually grow up on a farm, I spent many holidays staying with my grandparents and whiling away happy hours hunting eggs, helping with lambing and being a wildling amongst the vast acreage of pastures, meadows and fields of food. So, other than writing, I want to be a farmer. In fact, writing COULD HELP me to become a farmer. I still have my granddad’s 40 acres of land. I still have the urge to move there with my husband and work the land. BUT…as with all things. MONEY. It seems ridiculous that to live off the land, sustainably, cheaply, enviromentally friendly, you need a lot of money to begin with….but that’s another subject entirely. To add a little non-writing interest to this blog, I thought I’d share some of my farming progress every Friday. Though I’m in the suburbs that hasn’t stopped me and in addition to cats and dogs, I have chickens and quail too. Yep, fresh eggs EVERY day…and a homegrown roast now and then too. Also, it’s not exactly ‘non-writing’ as nature continues to inspire me and, as any of my readers know, my books are filled with creatures whether in sentient alien form or just a descriptive passage to enrich the world-building. The video below is my intro on the Brimwood Farm YouTube channel, but I’m excited to share my adventure with you guys here, so look forward to Farming Fridays from now on. Numbers, figures, sales, sub-totals, costs, profit margins – they’re all an essential part of business. As self-publishers it’s vital to keep an eye on these things. And as any indie author knows, those KDP graphs and publishing interfaces can be extremely alluring, especially when things are on the up. But what happens when there’s downwards movement or, worse, nothing appears at all? I’m the first to admit that I’m horrible at marketing. I hate talking about my work. People are surprised to discover I’ve written books because I’ll rarely offer it up in conversation. I don’t have money to throw away on Facebook ads (trust me, I’ve lost enough already), my AMS movement has tanked, and I can’t get involved in reader groups because, you know, I’m busy writing and I can’t concentrate on fiction at all these days. So I’m not about to jump into places like Goodreads and pretend I’ve read stuff just to get a following. When you’re on the up, it’s great. When that red line stops appearing it can be disheartening and distract from creativity. Yes, I can Tweet a link now and then, send a newsletter and buy a few paid ads (though, honestly, the effectivness of these is declining at a dramatic rate). Also, I’m NOT in Kindle Unlimited as many of my readers are on other platforms such as GooglePlay, so without that Amazon exclusivity, there’s little in the way of pricd promotions available. All sounds pretty bleak right?! Yep…and for me, someone who struggles with anxiety and depression, each hit makes it harder to keep going. You will hear over and over that the best way to market is to ‘write the next book’. Although I agree this definitely WAS true, and could still be effective, the indie world has evolved a lot and it’s now a very crowded place. Simply publishing book after book after book doesn’t cut it anymore if there’s no marketing at all. I’ve done this…talk about the not making a splash, i didn’t even get the ripple. That’s why newsletters, ads and promotion become so important. BUT it’s easy to get bogged down in numbers. To get depressed with a lack of sales. To lose heart when reviews not only fail to flood in but don’t even cross the double digit line even after six months. Don’t sweat it. Go back to basics and write. After all, if there’s no new content, there’s nothing actually to promote. What does that mean for me? I’ll be taking the pressure off. Can I write 1500 words a day? Yes. Should I write 1500 words a day? Probably. Is forcing myself to write 1500 words every day a good idea? Not for my mental health it isn’t. The same goes for checking sales, worrying about making profit, trying to find, book and stack ads. 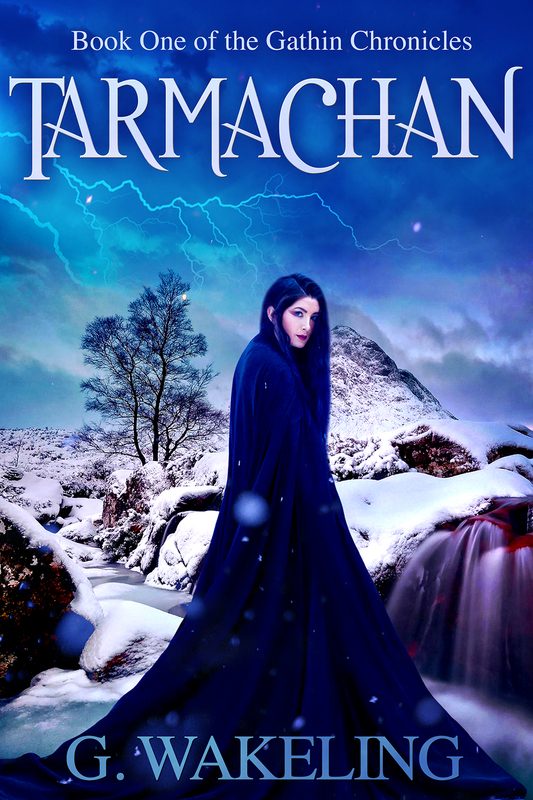 Though I might have finished writing Tarmachan (Book 1 of the Gathin Chronicles) last month, before any major editing takes place, I sent it out to a couple of betas. I’ll be honest – I rarely use betas. 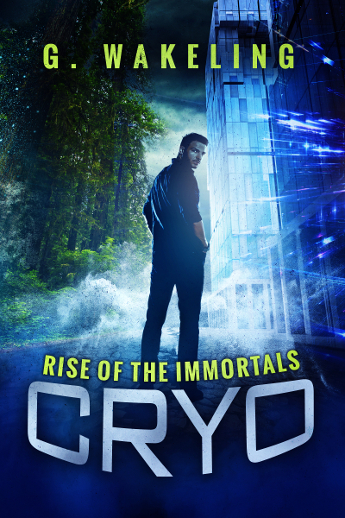 For an established series, CRYO or RENOVO, for example, the characters have already been created, and the stories are percolating in my mind. Of course, when I release a new book, I’m SUPER nervous because you don’t know if everyone will like what’s coming. However, the story is already established. With a new series, however, I like to test the waters. There are all sorts of questions that run through my brain; what if it’s just 50,000 words of crap? What if I’ve gone off on a strange tangent and readers don’t ‘get it‘? What if my lead is just horrible and unlikeable? Of course, I hoped this wouldn’t be the case and….having heard back from my betas…I’m happy to report Tarmachan is a THUMBS UP! To be fair, I hope that a young tom-boy lesbian princess breaking out of the confines of her parent’s castle and being unleashed into a world of trolls, sprites, nymphs, centaurs and other creatures MIGHT just be fun not only to write, but to read. And, so far, so good. The beta’s loved Lyllia, the creatures she discovered and the journey she survived. So, basically, this is a long-winded way of announcing that the Gathin Chronicles are GO! I’m starting on the first edit now and then it’ll be off to the editor and, with any luck, published before the end of the month. Work has also started on RENOVO book 4; there’s A LOT to do! Well, it’s been a week since RENOVO Symbiosis arrived and though I ran a 24 hour price deal for the new title, it’s now back to its normal price of $2.99. 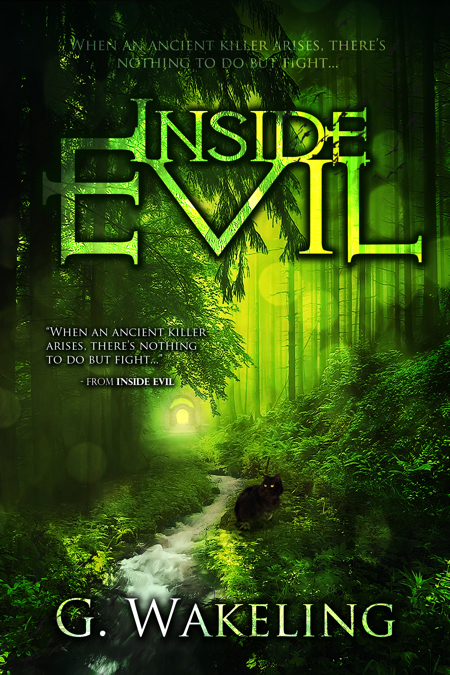 BUT – I thought it only fair to give new readers to the series a little perk; hence the new 99c price point. I’m not sure how long it’ll last for, but if you haven’t yet jumped into this series and met Dr. Rachel Galliance, Dendrick, Silver and the rest of the crew, now’s the time to do so! Her mission to Mars just became a fight for survival. Dr. Rachel Galliance has a simple plan. Head to Mars,complete an 18 month rotation and earn as much as possible. She’s claustrophobic and hates space flight, but her family’s medical bills come first. However, when the mission goes terribly wrong, it becomes clear she may never see her loved ones again. With her spaceship crumbling and the flight crew missing,Rachel must fight for her life. Stuck with a group of strangers, and stranded in an alien system, the decisions she now makes affect more than she could have ever imagined. Can she survive the RENOVO’s destruction? 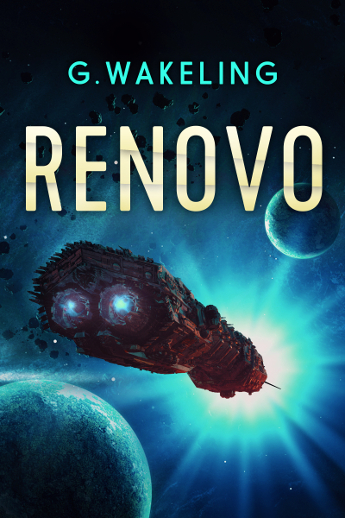 Don’t miss RENOVO, the first in the series by G. Wakeling.If you like Battlestar Galactica, the Expanse or The Martian, then this space opera will have you turning the pages. Come check it out!